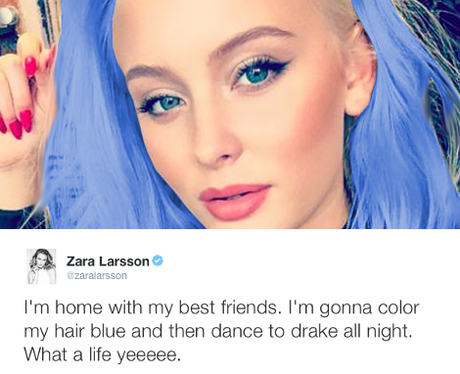 Is everyone else INSANELY okay with Zara Larsson dying her hair blue? 6. Is everyone else INSANELY okay with Zara Larsson dying her hair blue? PS: We expect - no, DEMAND - video footage of this dancing.